As the iconic status of legendary musician Jimi Hendrix looms larger with each passing year, there is a continual generation of new listeners just discovering his work. They may know he is important by how often he is name-checked by today’s top musicians and by the near-constant presence of his image across all forms of media, but they soon discover there is a complicated and confusing body of material spread across many titles and record labels. 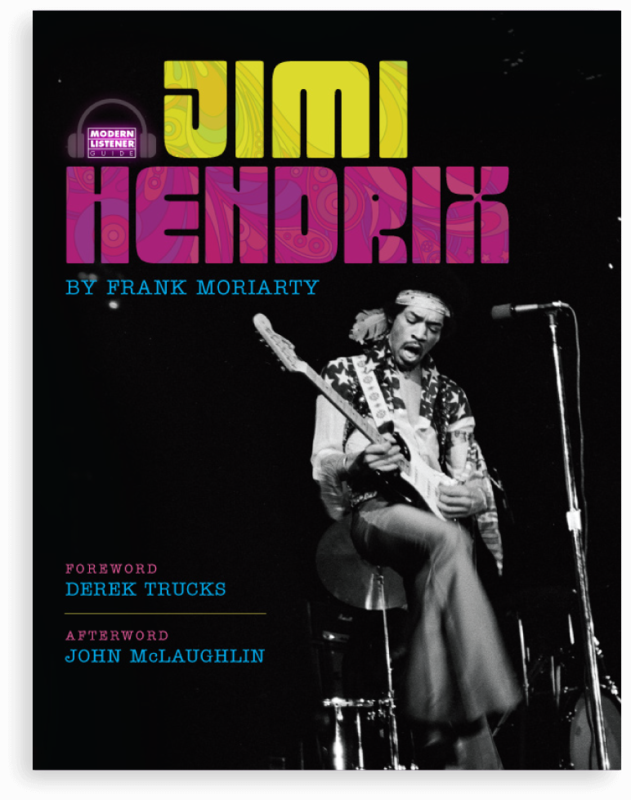 Now acclaimed author and musician Frank Moriarty brings to life the world of Jimi Hendrix in Modern Listener Guide: Jimi Hendrix. With informed commentary and spirited critical perspective, Moriarty expertly leads the way through the studio sessions, live concert recordings, and myriad album and box set releases that comprise the imposing legacy of one of the world’s great guitarists and musical personalities. The music appears largely in chronological format, surrounded by events within the life and career of Jimi. This provides a colorful, up-to-date and historically accurate framework. What was it like to be on tour in 1968? How is it that the biggest rock star in the world lived a life of chaotic day-to-day logistics? How did Hendrix’s creative instincts clash with “the way pop music is done?” The answers to these questions and many more complement the critical reviews of Jimi’s music, giving readers a revealing and complete picture of this musical legend. Exhaustively researched and fully illuminating in both detail and critical analysis, Modern Listener Guide: Jimi Hendrix spans over 260 pages with more than 180 images, most in full color, ranging from unpublished photographs to historical documentation. 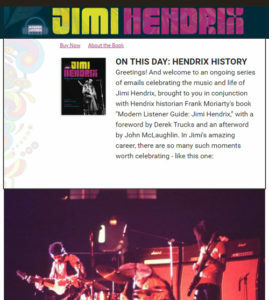 By balancing a colorful, up-to-date and historically accurate portrait of Jimi’s life and career interspersed with insightful commentary on dozens of significant releases that stand as cornerstones of his creativity, Modern Listener Guide: Jimi Hendrix will be invaluable to readers just discovering Hendrix, and will also appeal to those already familiar with Jimi’s compelling music and unforgettable life.